Brick has been used in construction for many years, and for good reason. 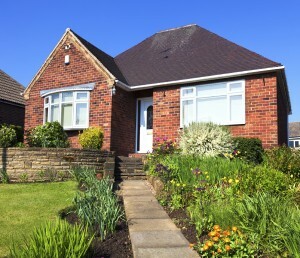 Homes with brick exterior offer a world of benefits. Brick is durable, long lasting, easy to keep up with, and brick also increases the value of your property. Brick tends to be more expensive to install than other exterior options, and requires a strong drainage system to avoid issues relating to water damage. The extra work associated with creating a brick exterior is surpassed by superior qualities. If your home is not made of brick you can add brick siding for added benefits, including increased insulation and style. 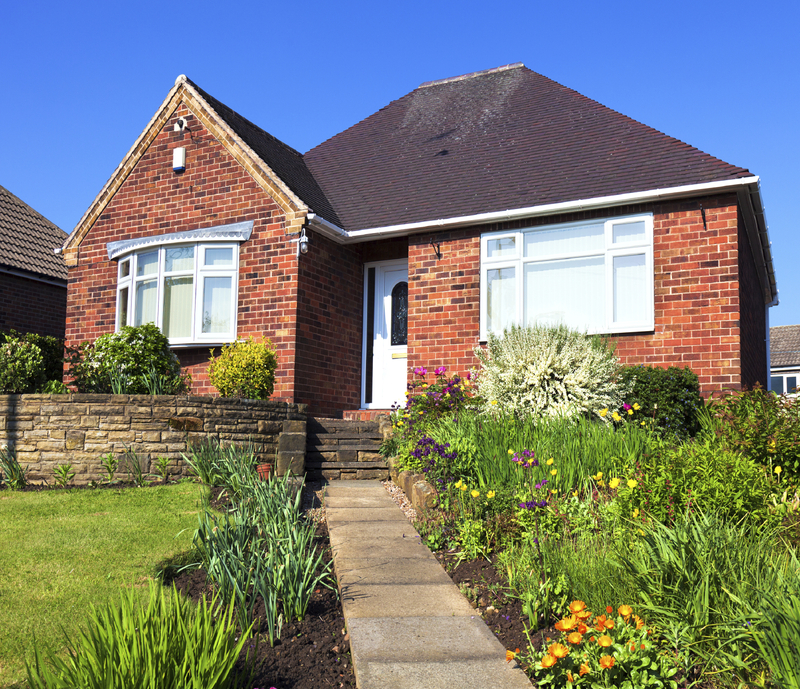 Here are the top 7 advantages to a home with brick exterior. When it comes to the exterior of your home you want a material proven to stand up to the elements. Brick is strong, able to take many hits and blows without wavering in defeat. Brick is naturally colored throughout thanks to its unique makeup, this means it will not fade or change color over time. Bricks don’t decay or dent, and termites have no interest in eating baked clay. For centuries brick remains the leading material in regards to remaining ageless. Brick homes are not maintenance free, but they are easier to maintain than homes built from other materials. For one, bricks do not show signs of dirt or wear and tear as quickly as other materials. This means you will not have to clean your exterior brick surfaces as often. In most cases, brick only requires an occasional squirt with the hose for the first 25-years of its life. Around the 25-year mark, there are typically loose bricks or mortar joints in need of repairs. If these issues are not addressed as soon as they arise much larger problems can occur. Although, if taken care of promptly and properly brick buildings should continue to hold up well for many more years with very little maintenance. Brick is very different than other insulated siding used for buildings. When brick is placed around the exterior of a building or home it provides an extra layer of defense against the temperatures outside. The actual passage of heat through brick walls is delayed compared to other materials. This means during the hottest months of the summer the heat will take much longer to penetrate through the brick, and during the coldest months the heat will remain trapped inside longer. Brick buildings have such excellent thermal mass even your energy bill will notice a difference, as you won’t have to rely on artificial heating and cooling as much. Brick cost more to install than many other materials but it pays off by maintaining its value. Since brick is low maintenance and long lasting people are willing to pay more for a home with quality brickwork. In fact, some estimates pin the actual increase in property value from brick at around 6%. Brick is not only reliable but it is also attractive, and draws attention better than other materials, increasing the likelihood people stop by your open house. A quiet home both inside and out is important for peace and for your privacy. Bricks are dense, granting greater soundproof qualities for any building as opposed to lighter materials. Airplanes flying overhead, road noise and even noisy neighbors are more likely to be silenced by brick than other materials. Brick is also helpful if you are throwing your own party and don’t want to disturb the neighbors. Bricks are more fire resistant than most other building materials. It takes brick far longer to catch fire because brick is made from non-combustible materials. In order to bake into formation bricks are cooked at 2,000 degrees F, meaning they can handle a lot of heat. A 1983 CSIRO survey found masonry walls have a significantly reduced chance of being destroyed by fire. The thicker the bricks the more fire resistant a building is. Bricks come in a wide variety of styles, shapes, and even colors. No two bricks look exactly the same, giving each brick building its own character and charm. You can get creative with brick design, playing with different decorative effects and brick orientations. For instance, vertical stretcher courses, corbelling, racking, and banding are different ways you can place bricks to give a completely altered appearance. Brick is a classic building material, but it can also be made to appear modern and new, granting you endless possibilities when it comes to the exterior of a building. For all of your masonry needs contact Turnbull Masonry today!